Maurice was born in Lerwick, Shetland and brought up in a musical household, where late night music sessions would often convene. Maurice had an interest in the fiddle and began lessons with Trevor Hunter at secondary school in Lerwick. This is where in he met in with fellow fiddle players Kevin, Chris, Davie Keith and the late Michael Ferry. They together formed Fiddlers' Bid in 1991. Maurice lives in Shetland and is very much part of the traditional music scene there. 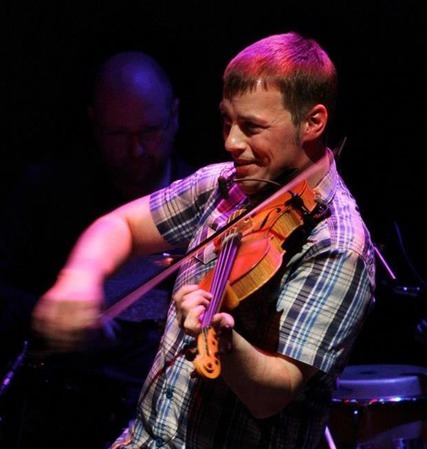 He is known for his passion and enthusiasm for the traditional Shetland tunes, folklore of islands and the stories behind the tunes. Often telling a few yarns himself. Other musical projects include the popular Shetland party band Fullsceilidh Spelemannslag; Haltadans, a group playing predominantly Shetland traditional music; Väir, a band touted as one of Shetland's hottest new acts.